The Air Jordan 4 Motorsport returns, this time in the "Away" (also referred as "Alternate") colorway. This sneaker is very similar to the original Motorsport colorway that re-released earlier this year, with the "Away" colorway having a black upper instead. They're also very similar to the "Bred" 4s. Although His Airness had to stop riding motorcycles when he began his NBA career, his passion for motorsports never went away. In 2004 he assembled his own racing team, which would eventually receive its own vaunted colorway of the Air Jordan IV. 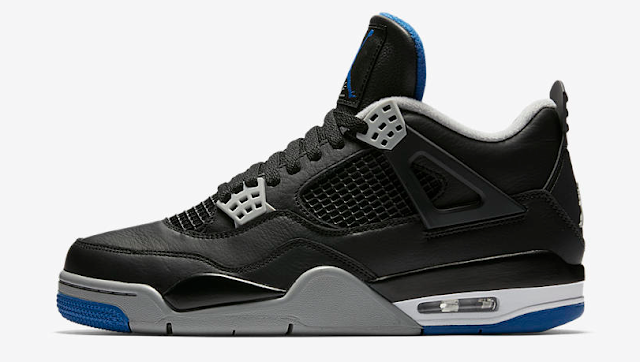 Now, on the heels of that colorway’s eagerly anticipated re-release, comes an alternate pairing of black, matte silver and game royal for a post-paddock salute to Michael Jordan Motorsports. 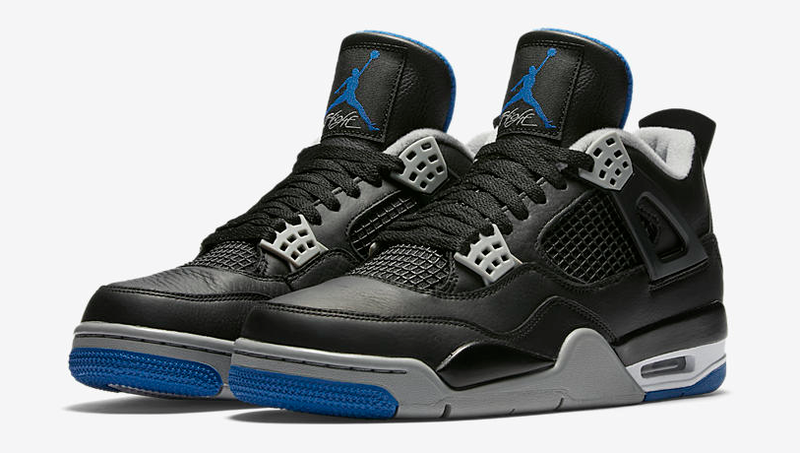 The "Motorsport Away" 4s will release on Saturday, June 17 for $190 at select Jordan Brand retailers. Most of the online sites will release them at 10 a.m. EST. These should be an easy cop, but we got all the links so you can cop them with ease.